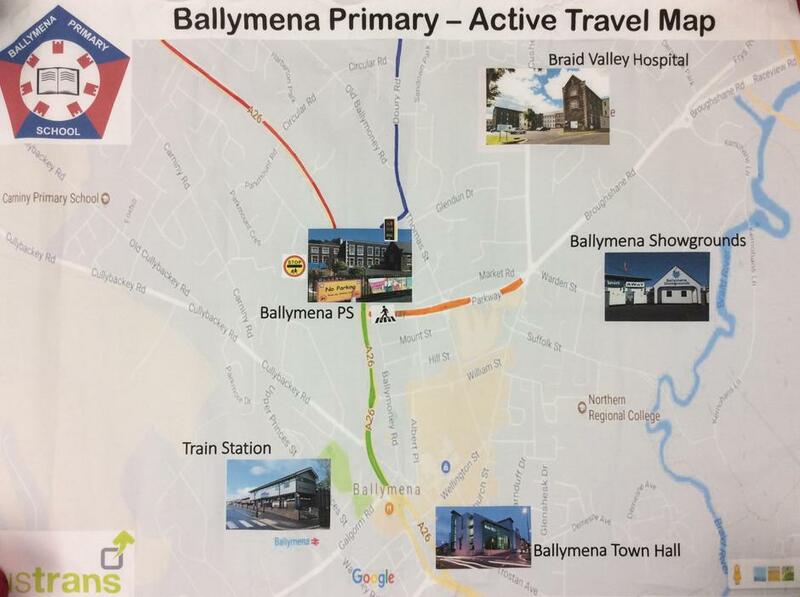 At Ballymena PS we want to encourage as many of our families to travel to school actively. Below is our active travel map designed by our School Council with help from Mr Bridges and Johnny from Sustrans. Please use it to plan your journey to school to stay safe and travel in a fun and active way! Our Top Tips To Stay Safe! Watch out for cars - It is very busy! Use the main school entrance and watch out for small children, adults and prams. Use the green cross code!